So said St. Teresa of Jesus, and yet even this Doctor of the Church recommended having an image of Jesus before us to come to the aid of our human weakness. 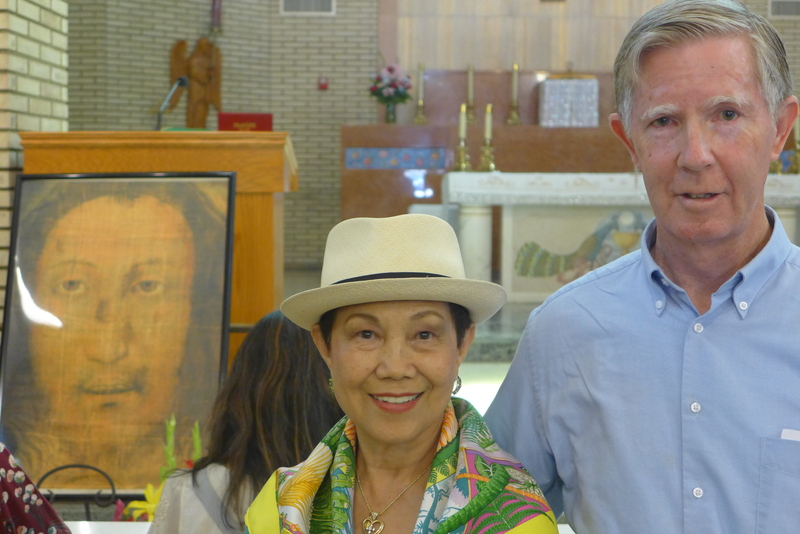 “Never set aside the Sacred Humanity of Christ,” she said. We cannot come to the Father except through Him. Intimacy with Jesus draws us into the life of the Trinity. “If we can, we should occupy ourselves in looking at Him Who is looking at us; keep Him company; talk with Him; pray to Him; humble ourselves before Him; have our delight in Him.” This mutual gaze of love, which is prayer, bears fruit in the soul and a burning desire to share in some way the love of Christ with others — to make Him known and loved. Such was the desire of Daisy Neves. 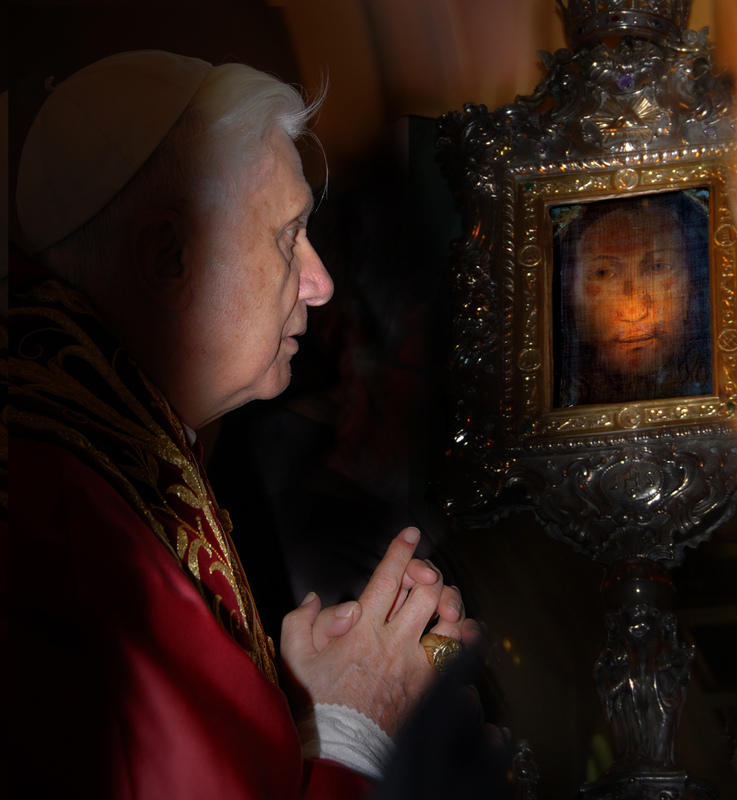 Daisy, first glimpsed the Holy Face of Manoppello in 2006, in a newspaper photo of Pope Benedict XVI in prayer before the holy relic. She made up her mind then that she must see it. 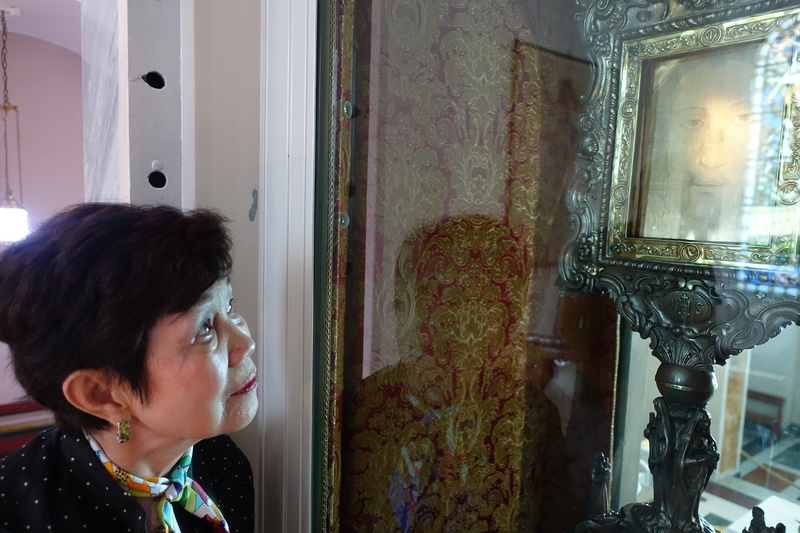 Five years later, at Easter in 2011, she found herself face to face before the Holy Veil bearing the Face of Jesus. Her heart was moved to such a degree that she placed all her money in the collection before returning home to America. From that moment on, she told everyone she met about the Veil with the Face of Jesus in Manoppello, Italy. Daisy travelled the world, in spite of illness and obstacles, and she relentlessly sought whatever means she could to share the love of Jesus made manifest by the veil of His Holy Face. Daisy has now entered into Eternal Life. But by the fruit of her deep love and devotion, she brought the image of Holy Face to basilicas, churches, and orphanages. Through her efforts, replicas of the Holy Veil have been enthroned in many churches throughout the world, drawing many souls to contemplate in prayer and experience, as she did, the merciful loving gaze of her beloved Jesus. May she gaze on God’s Face for all eternity. Daisy Neves, Requiescat in Pace! Patriarch Bartholomew with Daisy Neves and the “True Icon” the Holy Veil of Manoppello. Beautiful post! Thank you for sharing it, Patricia! God bless you!